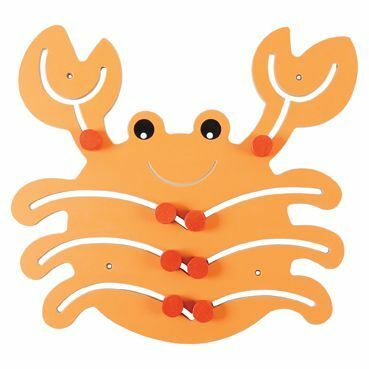 In the crab theme, this amazing sensory panel can be used in classroom environments and helps younger years improve motor skills and coordination. Easily attach to walls using the wall mountable play panels and wall fixings which are included. Features easy grip handles to allow smooth movement for children. Made from MDF panels and suitable for children aged 3+.